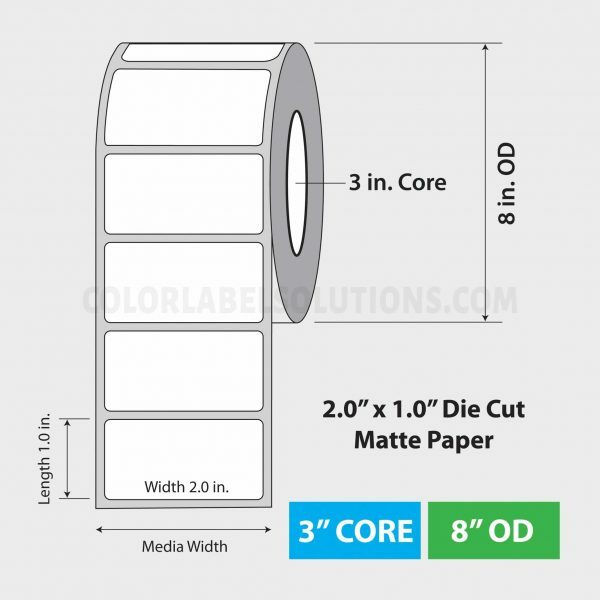 2″ x 1″ Matte Paper Labels, 3″ Core – C7500 – Color Label Solutions, Inc.
2″ x 1″ die cut inkjet coated matte paper label. 3″ core, 8″ OD. 5,250/roll, 2 rolls/case. $/case. For use with Epson ColorWorks C7500 inkjet label printer. 2″ x 1″ die cut inkjet coated matte paper label. 3″ core. 5,250/roll, 2 rolls/case. 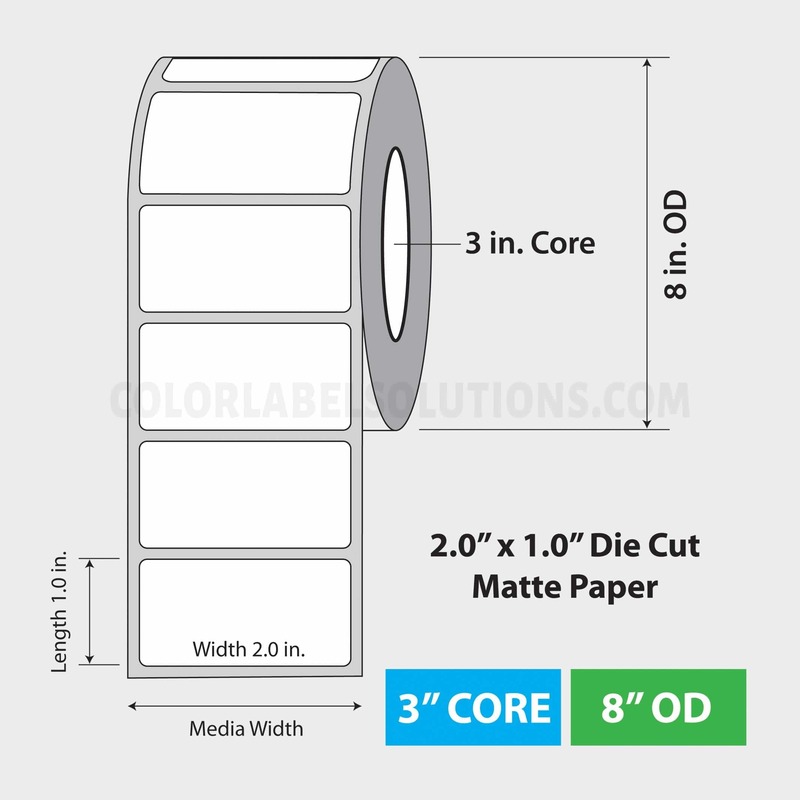 2″ x 1″ die cut inkjet coated matte paper label. 2″ core, 4″ OD. 900/roll, 8 rolls/case. $/case. For use with Epson ColorWorks C3500 and C3400 color label printers. 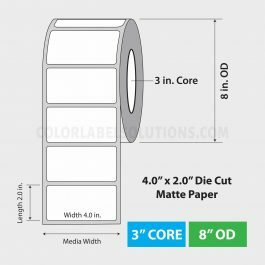 4″ x 2″ die cut inkjet coated matte paper label. 3″ core, 8″ OD. 2,750/roll, 2 rolls/case. $/case. For use with Epson ColorWorks C7500 inkjet label printer. 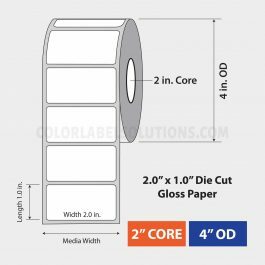 2″ x 1″ die cut inkjet coated gloss paper label. 2″ core, 4″ OD. 900/roll, 8 rolls/case. $/case. For use with C3500/C3400 printers.